I'm sure this is what the plants look like in Heaven. 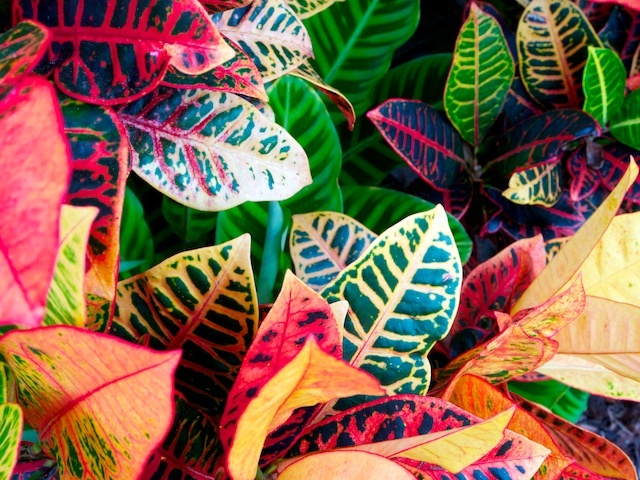 We call these crotons. They are very common (and colorful) in Florida.